Fraud victims in Wales have lost more than £2.6m over the past two years, according to the latest figures, with the elderly most often targeted. Trading Standards warn the actual number could be 10 or 20 times that figure, as most victims never come forward. One victim from north Wales had more than £100,000 of his life savings taken in three investment scams. Police say relatives and carers must look out for warning signs. 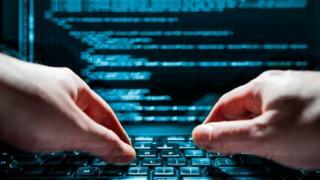 The figures come from Action Fraud, the UK's national fraud and cyber crime reporting centre. Action Fraud and the City of London police, the lead force on fraud, suggests 77% of victims of investment fraud are men with the average age of 65, with the average loss more than £32,000. Trading standards officer Alison Farrar said scams can start with victims entering a simple competition, where someone is asked to send off a small amount of money to claim their prize, but it quickly snowballs. "We've had people who've lost almost everything," she said. "They've ended up having their homes belonging to someone else because they've been persuaded to enter into an equity release scheme. And it means they're worried in their old age about being able to stay in their own homes." 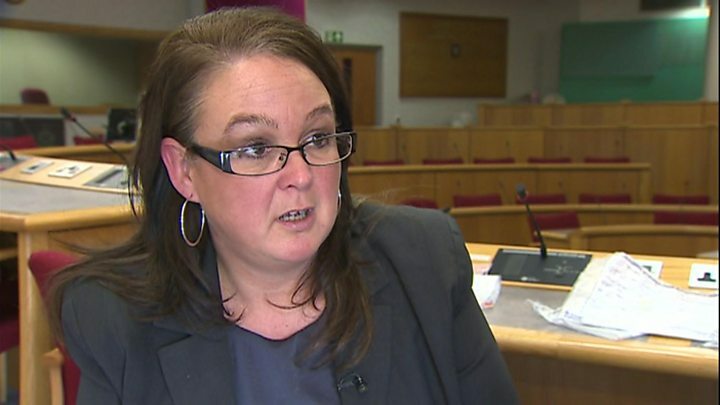 Media captionAnglesey Trading Standards officer Alison Farrar says scammers will "do anything" to cheat their victims. She said cheating firms will go to elaborate lengths to persuade people to hand over their money, spending months convincing them the bogus offer is genuine. In one case, a man from Anglesey lost more than £100,000 in three separate frauds. In one of the scams, he was sold five diamonds for six or seven times their actual value, with the suggestion they would also increase in value over time. "I was stupid, but they were so friendly," he said. "The one man told me his wife was expecting a baby and she had a miscarriage - he was actually crying on the phone. He'd told his bosses he'd sell this diamond - he wanted me to pay £1,000." The man said he sent £500 but, because he had not been able to fully pay for a diamond, he felt he was letting the perpetrator down. He ended up buying five diamonds, varying in price from £3,000 to £18,000. They have since been valued at a fraction of the prices he paid. "They were doing a job and they were doing it well at my expense. "Sometimes it's easier to forget - if I dwelt on it every day of the week my life would be unbearable, thinking how stupid I've been," the victim said. In August last year, Martin Rhys-Jones, of Cardiff, was jailed for six years by a court in America for his role in a separate £2.3m ($2.9m) "boiler room" fraud. The case attracted headlines because his daughter, Emma, is engaged to Real Madrid footballer Gareth Bale, and her sister Charlotte is in a relationship with rugby international Taulupe Faletau. Nigel Cash, from Kent, was one of Rhys-Jones' 250 victims, and was conned into buying £5,000 of worthless shares. He said he was now on an "idiot list" and, 10 years after the initial sale, he still gets scam calls related to the shares. "The impact is you become a target, you get more phone calls because you've bought one set of shares and are therefore 'a soft touch'," he said. "There's a whole industry of people that do nothing but phone people and try and make them part with their savings in order to buy something they know beforehand has absolutely no value - and that's sad."